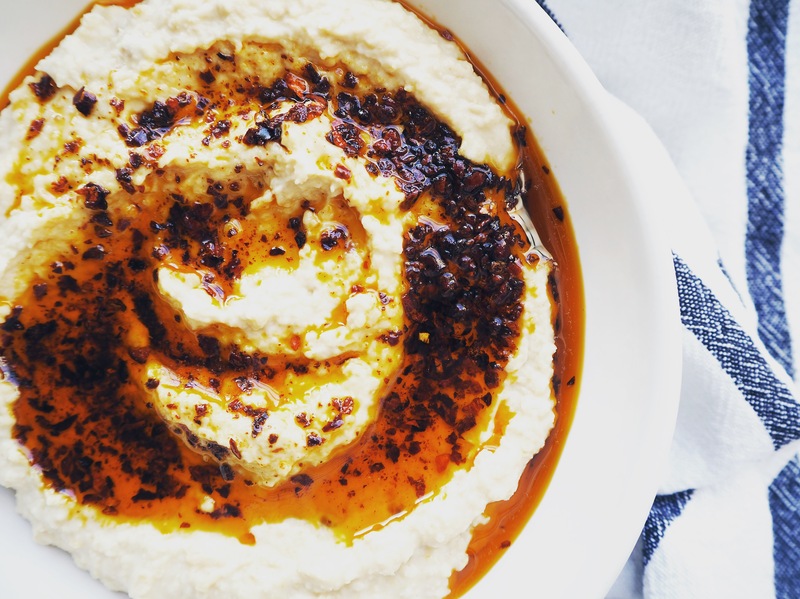 The idea of this hummus is so simple that I am not sure if I should give the whole recipe or not: you just roast the garlic instead of using raw crushed garlic. 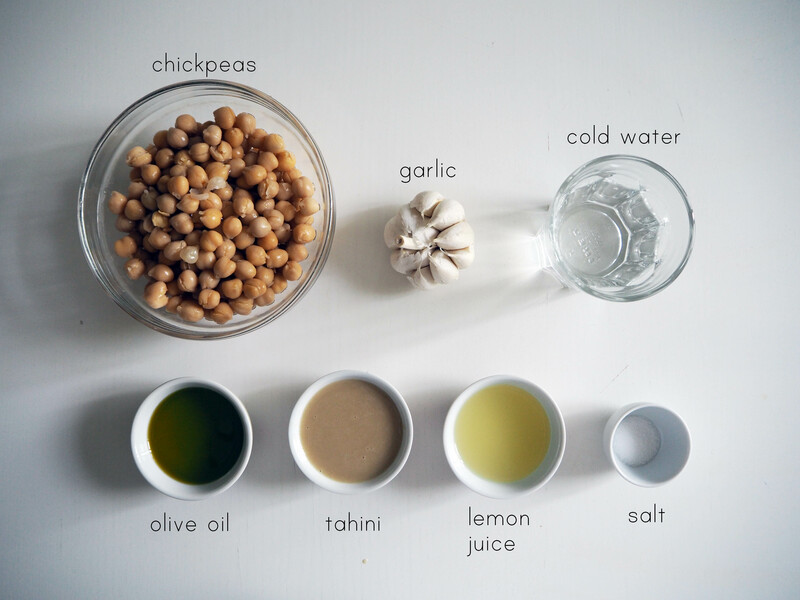 The rest is basic hummus recipe. That’s it. No weird mumbo jumbo! 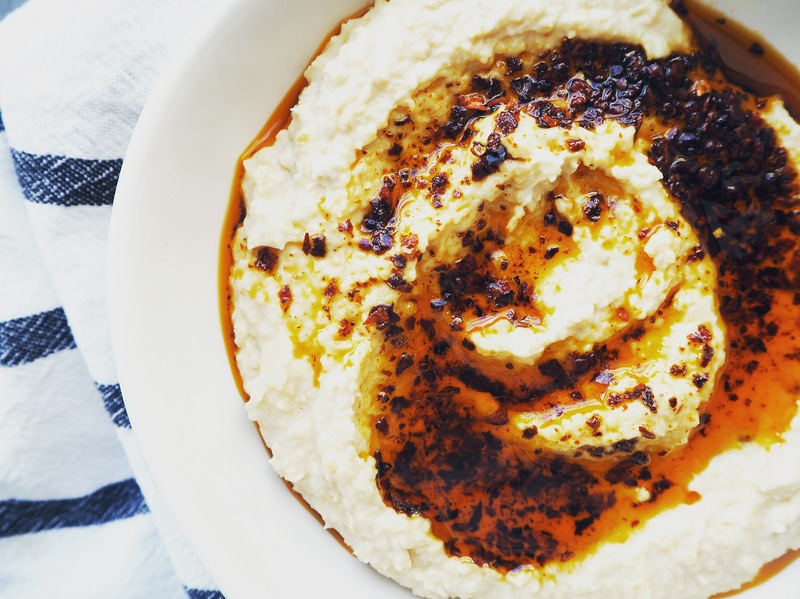 I first did this hummus for a catering gig about a month ago and I loved every single moment of making it. The garlic smell coming from inside of the oven already around 10th minute is so strong and delicious that you start smiling while working in the kitchen. Another nice thing about roasting garlic is related to practicality: normally I am really bad at peeling garlic. Peeling and then crushing are two things that I always feel lazy about. 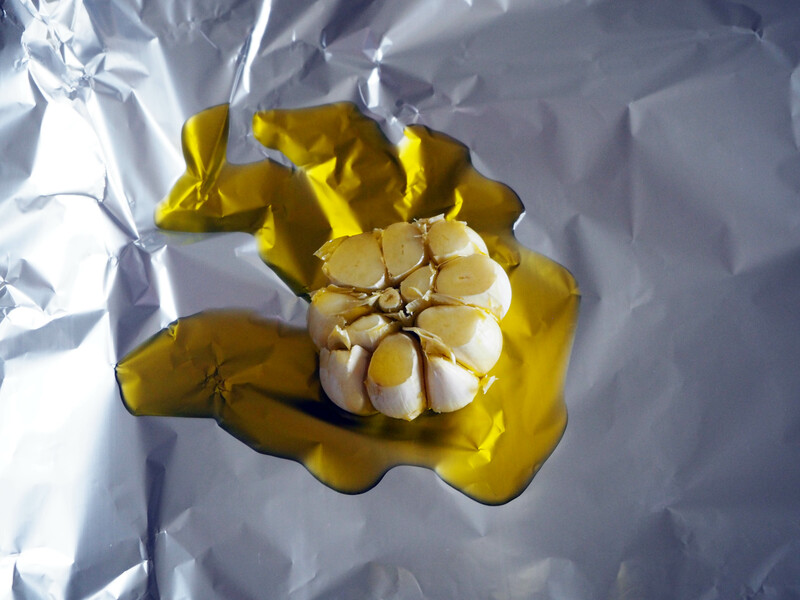 But when you roast a whole garlic head, the only thing you need to peel is the outermost papery skin. 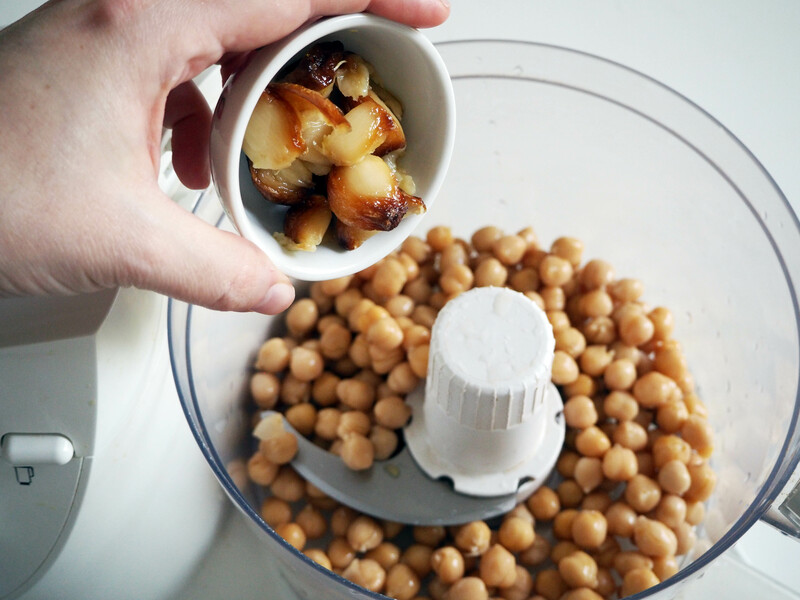 After roasting, the roasted garlic cloves come out very easy using a small spoon. 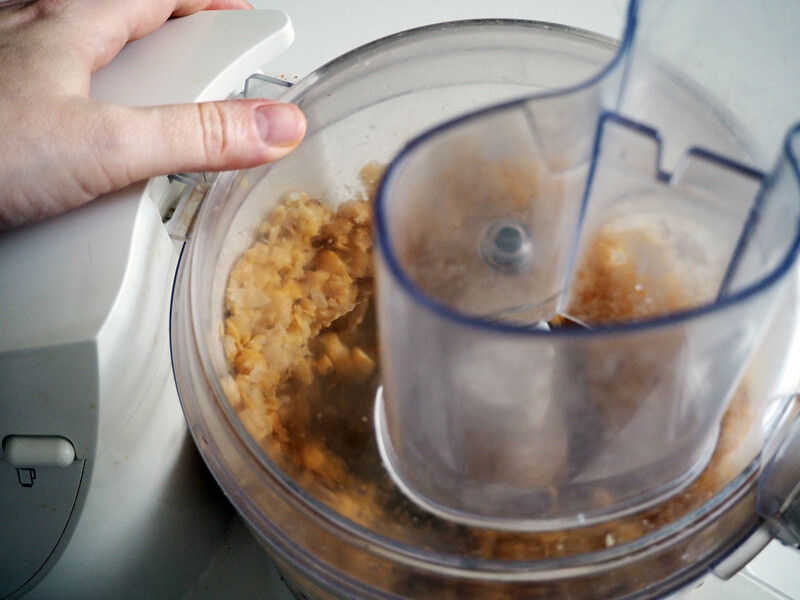 Also, they are so soft that they easily get crushed in a food processor with other ingredients. 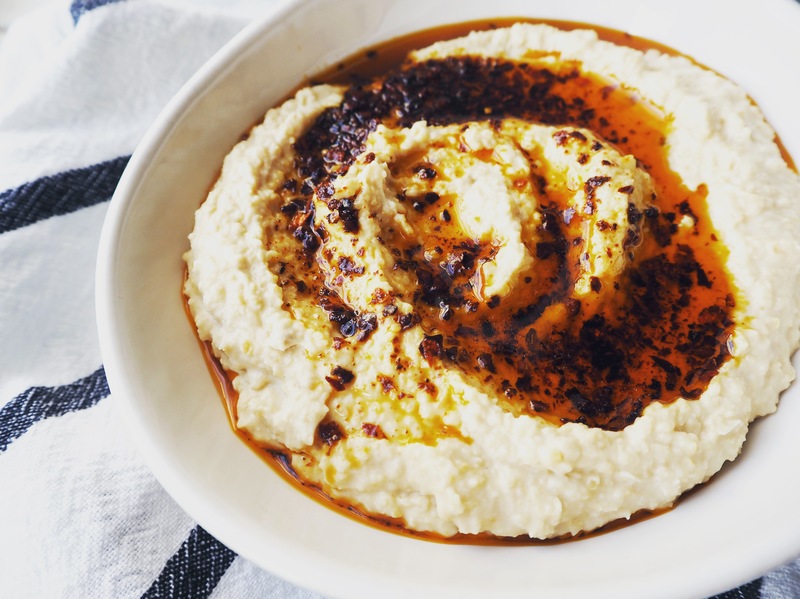 Since that first time use in the catering, I have been doing many garlic related dips and spreads with roasted garlics. I recommend this for everyone! 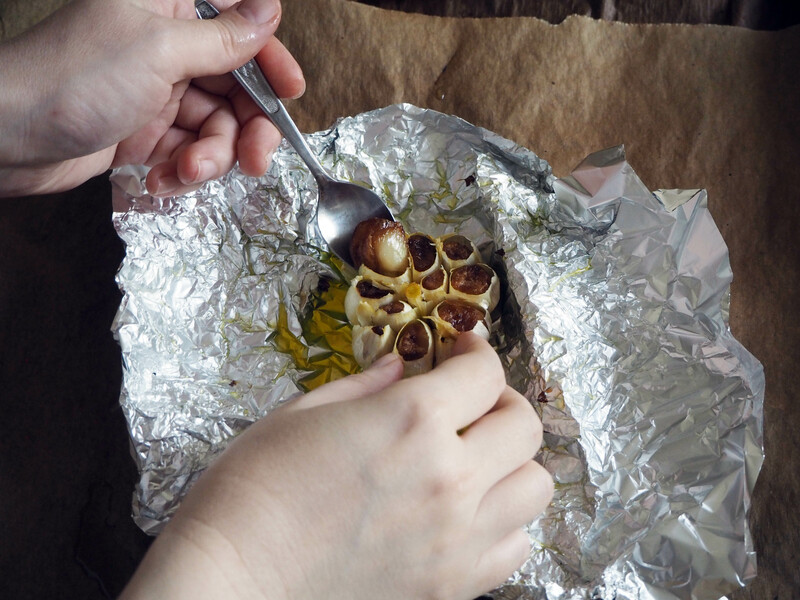 Enjoy the smell and taste of roasted garlic festival! 2. 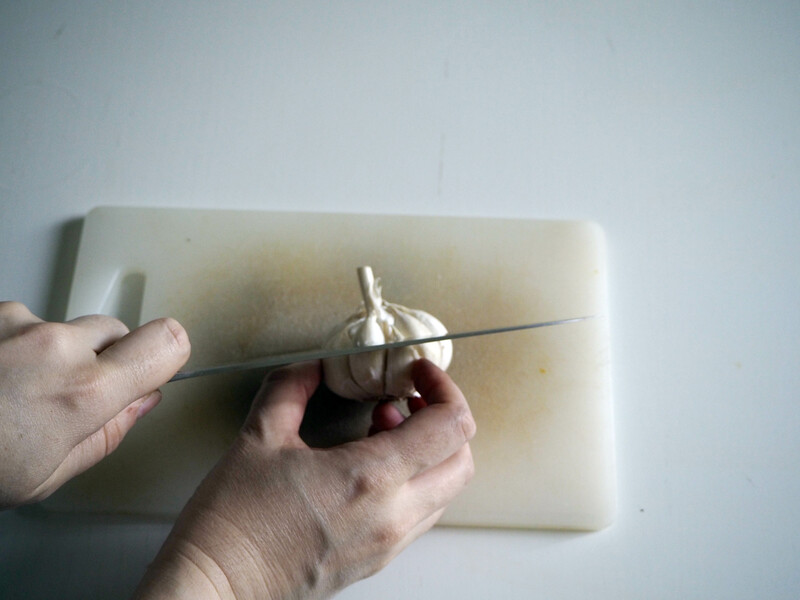 Trim off the top of garlic head – don’t cut too much and keep the cloves altogether. 3. 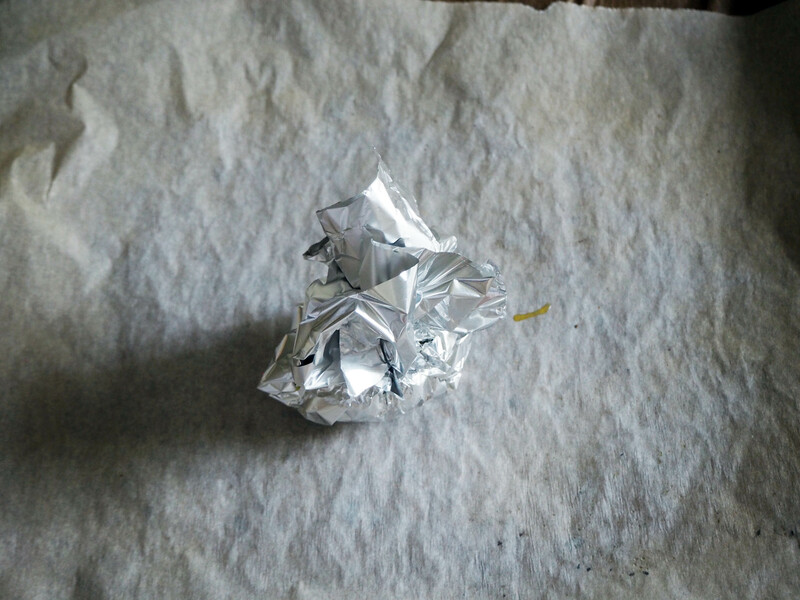 Put the trimmed garlic head on a piece of aluminium foil. 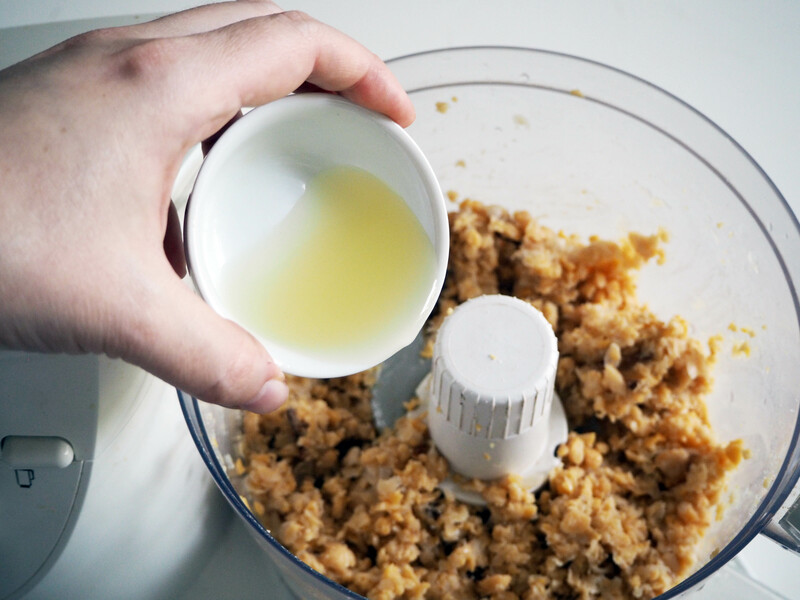 Drizzle about 1 tbsp olive oil to cover all the cloves. 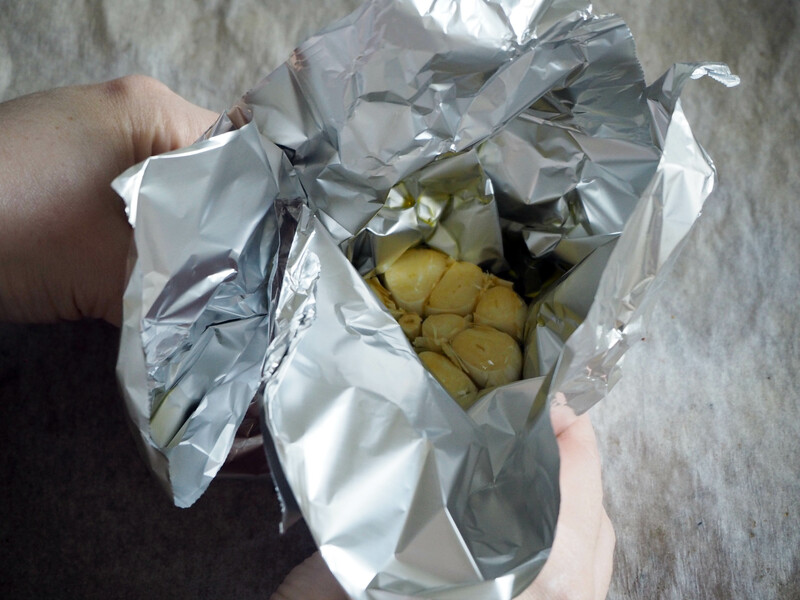 Wrap the foil tightly and put in the oven, in medium rack. 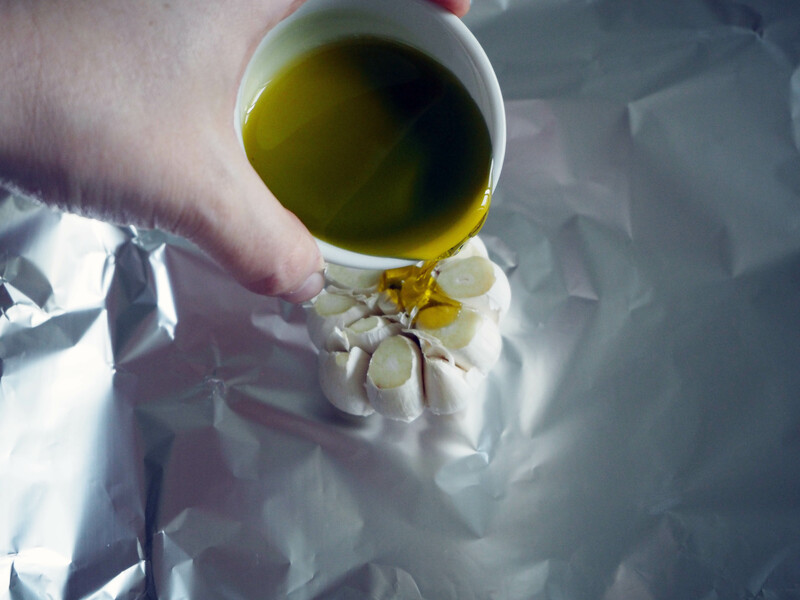 Roast the garlic for 45 minutes. When roasted, take it out of the oven and let it cool close to room temperature. 4. 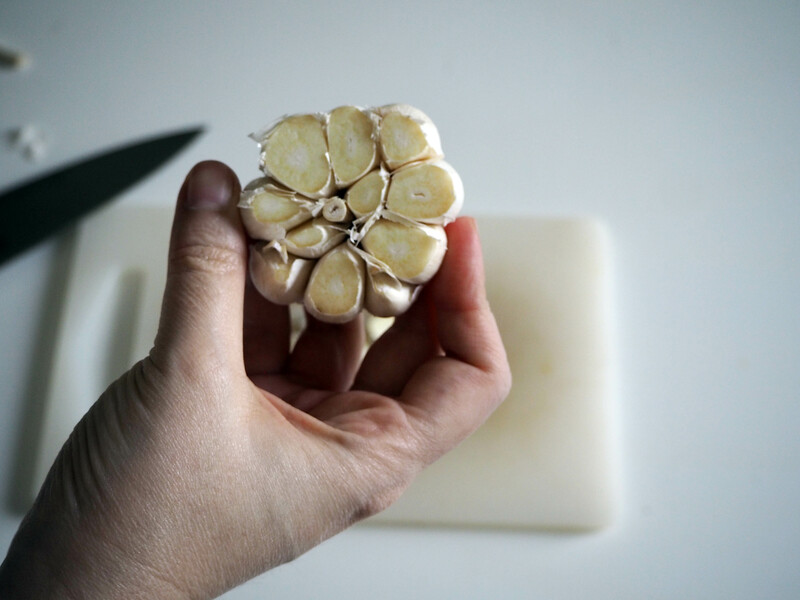 When garlic cools down, take the cloves out of the skins using a small spoon. 5. 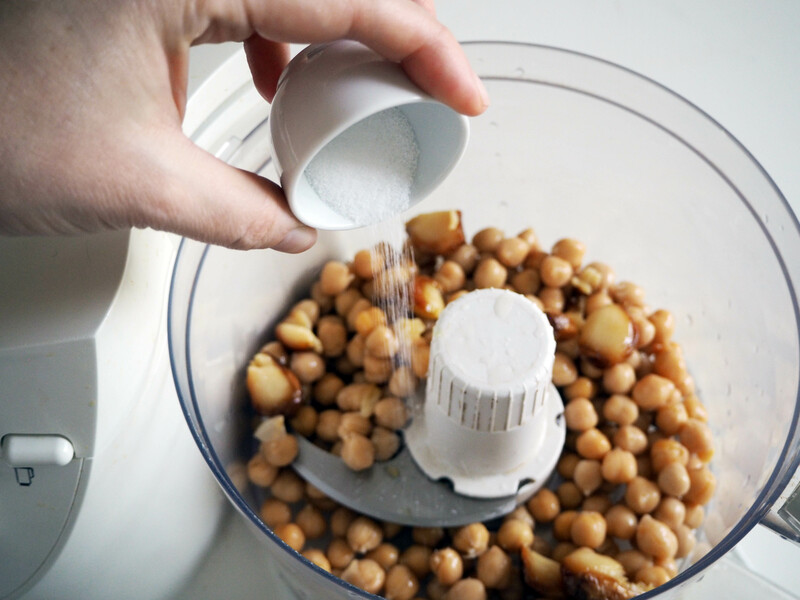 In a food processor, put chickpeas, roasted garlics and salt. Process until as smooth as possible. 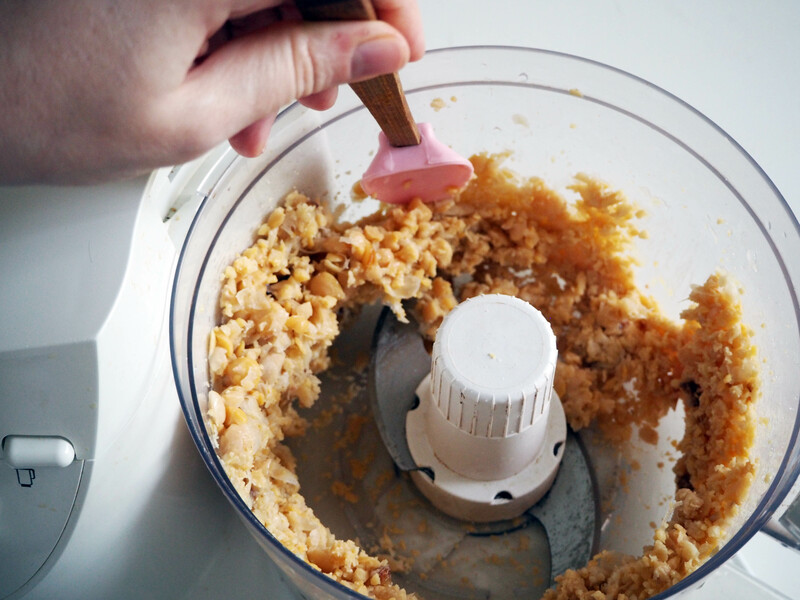 Scrape the sides using a spatula if needed. 6. 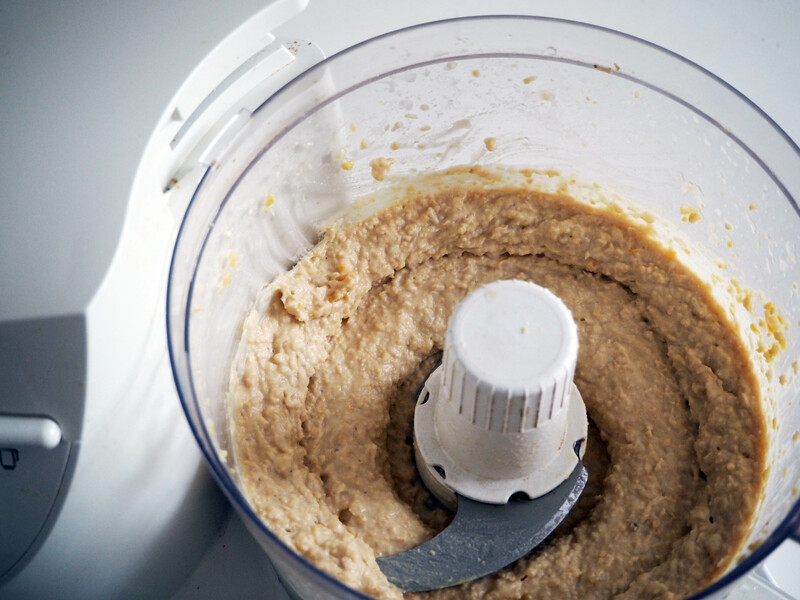 Add lemon juice and tahini. 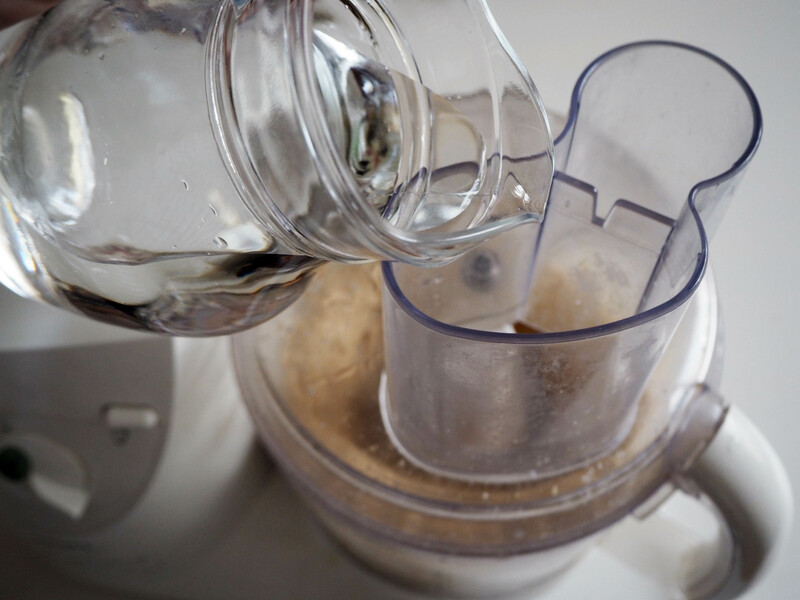 Start processing again while pouring some very cold water from top. 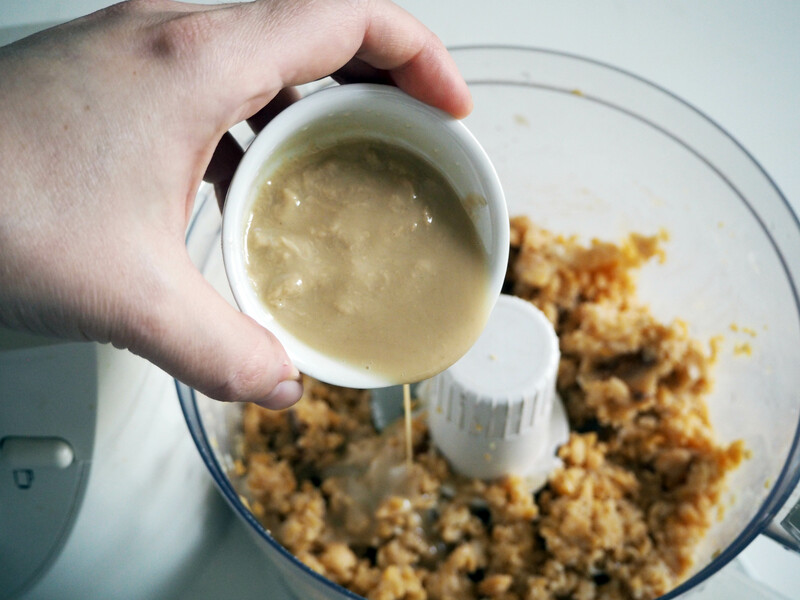 Do not add too much water all of a sudden, add slowly until you get the creamy consistency you want / like. 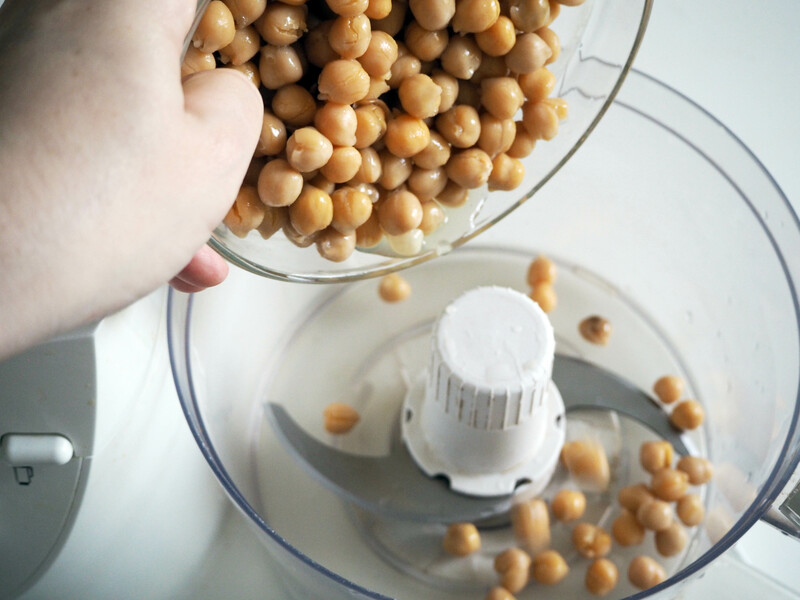 When you have the desired consistency, transfer the hummus to a serving bowl. Serve with the topping of your preference. Enjoy!